Want to know if a steak is cooked medium rare? Instead of pressing on the flesh on the back of your hand and comparing the firmness to the "feel" to your steak, why not get a number? Experts agree that 130 to 140 degrees will result in a perfectly cooked piece of beef. Maybe you don't eat a lot of meat — a loaf of bread is done when it hits 190 degrees. 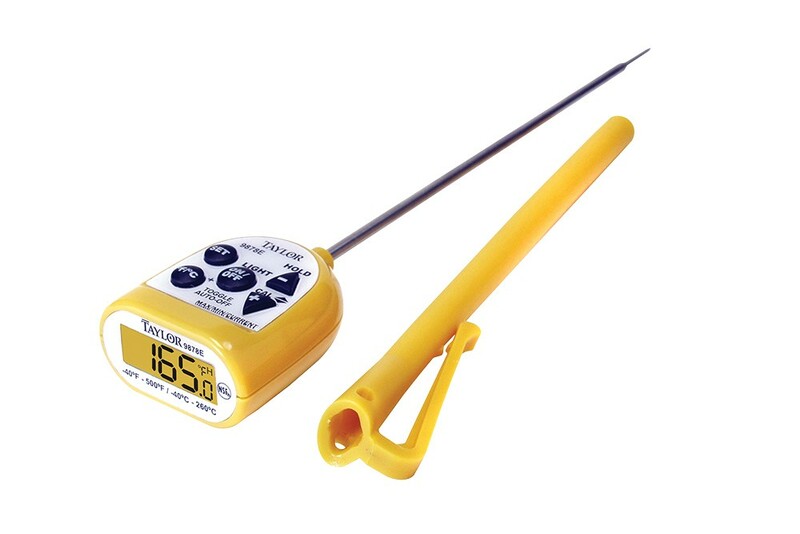 Playing kitchen scientist requires a good thermometer, and Spokane's Bargreen Ellingson Foodservice Supply and Design has a robust selection of digital thermometers for local amateur and professional chefs to choose among. Features vary from the range of temps the thermometer can accommodate to how rugged the instrument is. There are lots of ways to destroy a thermometer. Here are some I've tried: melting it in the oven, melting it from sitting too close to the stovetop, drowning it in dishwater and destruction via dishwasher. Among the offerings at Bargreen, Taylor's Slim-Line Waterproof Digital Thermometer stood out. It offers one of the larger temp ranges — from minus 40 degrees to 500 degrees. Caveat: It's not exactly waterproof; a careful read of the fine print on the packaging notes, "Do not completely immerse thermometer in water or put into dishwasher." And the company acknowledges the thermometer will melt if left in the oven, grill or microwave. But in spite of all that, this is a great little thermometer. It leaves a discreet hole in the food, thanks to a 1.5 mm tip; the time to register a temp is, while not instant, pretty darn quick. It turns itself off to avoid battery drain, and the ability to read the display while looking down on the thermometer is surprisingly helpful, especially if your oven is under the rangetop.